The life of a gamebook adventurer is rough! Are you ready to face down savage foes and clever traps? 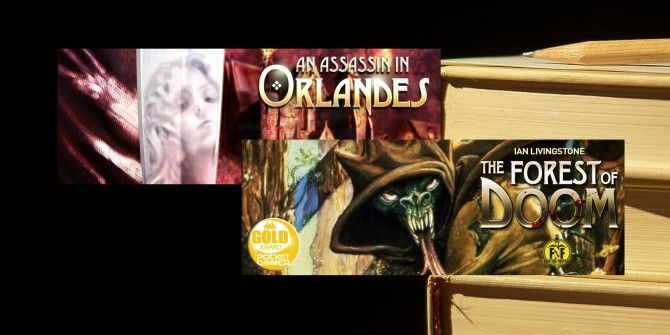 Gamebooks are a cross between tabletop role-playing games like Dungeons & Dragons, and the Choose Your Own Adventure books you may have read if you grew up in the 80s or 90s. Instead of reading these books from start to finish, every few pages you’ll be offered a number of choices that decided where the story went next. Gamebooks give you an extra measure of immersion by assigning your character statistics like health and combat skill, as well as room to note items you pick up along the way that might help you later, like the golden key in the example above. If you can’t get friends together to play a great tabletop RPG 5 Tabletop RPGs You Can Download for Free 5 Tabletop RPGs You Can Download for Free Playing games on a computer or console is great fun, but these systems set the rules in code and often are designed to be played with just one person in a room. This makes the... Read More , they’re a solid way to scratch that itch for storytelling adventures. 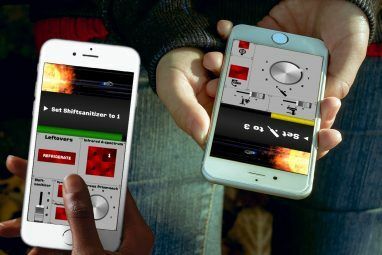 Many gamebooks, both brand new and beloved classic, are finding new audiences on iOS devices, and modern conveniences make these titles easier than ever to play. Don’t worry about packing a pencil and dice to enjoy rough and tumble adventure whenever you want. All of the random numbers and inventory management are handled alongside the story right in the app. Quaff a health potion with a tap of the touch screen, and get right back into your story. Fighting Fantasy is a series of classic gamebooks launched in the 80s that Tin Man Games is adapting to iOS. In The Forest of Doom, a dying Dwarf tasks you with taking a legendary hammer back to his people to save them from their enemies. With thoughts of grand rewards, you set out on your mission to cross a forest full of creatures and curses. When you first start playing, you’ll quickly notice the attention Tin Man Games paid to presentation. Polygonal dice tumble onto the screen anytime you make a roll, and the gamebook has a number of lush, colorful illustrations that open key scenes. Your adventure is accompanied by an ambient soundtrack and forest noises that add a hint of tension. It also supports single page view and two page spreads, depending on how your orient your device, and offers a variety of font size options to make reading comfortable. The decisions and challenges that you’ll face in the forest are heavily inspired by the feel of classic Dungeons & Dragons adventure modules. Often, you’ll be asked to make choices as to which direction you want to go next, with very little context. Do you want to go east or west? You’re not given any hint as to the sights and sounds coming from either direction, so it can feel like an exercise in trial-and-error or memorization at times. The game mercifully draws a map for you as you explore though, so you’re no longer doomed to the confusion and backtracking you suffered in the original gamebooks if you refused to take on mapping yourself. Unlike Fighting Fantasy, Tin Man’s Gamebook Adventures series isn’t an iOS adaptation of work that previously existed in print. The first title in the series, An Assassin in Orlandes, launched in 2010, and offers dark fantasy mystery set in Orlandes City. You find yourself witness to an assault on the streets, and are soon roped into trying to foil a plot to assassinate the city’s nobility. An Assassin of Orlandes is more merciful in its challenges than The Forest of Doom, clearly a result of more modern game design philosophy. You’ll find yourself able to miss a few story opportunities before your failings come back to bite you, and it’s very possible to recover from a shaky start. This gamebook also supplies a fair amount of context for your decisions, but you’ll still find moments in which you’re asked to basically choose blindly from time to time. Sorcery! by Inkle Studios tells the story of your quest as a young sorcerer to find the Crown of Kings and wield its power. Armed with your sword and spellbook, you’ll chart your course across a beautifully rendered world map with lots of tough choices before you. From the moment you open this gamebook, it stands out as a labor of love that offers an experience you couldn’t have with just a paperback and dice. Spellcasting is a cornerstone of play, both in battle and problem solving, and when the opportunity arises to do so, you aren’t offered some short list of applicable spells. Rather, you’ll assemble a three letter word of power based on which effect you think will best aid you. It’s remarkably rewarding to page through your available spells and pick the right one based on your own intuition. Combat is more than just the comparative dice rolls that many gamebooks offer, too. You bid attack power against your opponent, and the higher power hits. Expensive swings deal more damage, but if the lower bidder bids zero, the attacker only deals one point of damage no matter how hard he swung. Opponents cleverly exploit your exhaustion after you make a powerful swing, so battles are never as simple as brute force. It’s a system that makes you think, and rewards sound strategy with a chance to emerge from battle virtually unscathed. If you’re tired of the well-trod fantasy genre, Murder at the Diogenes Club by AppEndix puts you in the shoes of an assistant to Holmes and Watson. With Holmes under an oath to not work directly on the case, you’re tasked with rooting out the foul play that took the life of one of the club’s members. As with any good mystery, the solutions aren’t readily apparent, but the gamebook helps you a great deal by automatically noting your collected clues, critical decisions, and any deductions you make. You can refer back to this list whenever you like to help you make future decisions. The game includes character stats and dice rolling as well. Occasionally, a bad roll will rob you of the chance to find clues in a particular location, but you’re never forced to accuse the wrong party based on what you’ve discovered. Even if your information is incomplete, you still have a shot at calling out the right perpetrator. You’re also offered a choice between bailing out of the story, or having Holmes explain the real solution if you come to the wrong conclusion, so you won’t accidentally spoil the solution just by plowing ahead. If you’re experiencing gamebooks for the first time, I’d advise you to start with Sorcery! 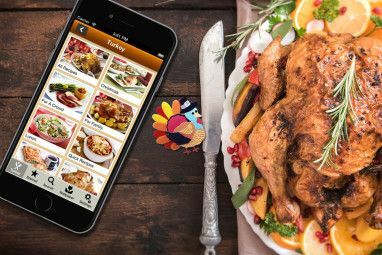 – it takes advantage of the app format by offering more interesting combat, open-ended choices and features a flair for presentation that will really draw you into the story. If you’re nostalgic for a more classic gamebook experience though, you’ll have an abundance of options available to you. There’s plenty more gamebook adventuring to be had on iOS – so list your favourites in the comments below. Need more iOS fun? Check out relaxing iPhone games 8 Relaxing iPhone Puzzle Games That Can Help You Unwind 8 Relaxing iPhone Puzzle Games That Can Help You Unwind Sitting in front of a game on your iPhone is one of the easiest ways to unwind, especially with a few calming puzzles. Read More . Or, try creating your own text adventure game 3 Tools to Create Your Own Text Adventure Games 3 Tools to Create Your Own Text Adventure Games Want to try making your own text adventure game? Here's your chance! These three tools will help you create your own complex and playable story. Read More . Explore more about: Adventure Game, iPhone Game. There's a new Chose Your Own Adventure (CYOA) game for Android, The Hero of Eithengale, Choose Your Own Adventure App? about a hero seeking the Mirror of Wisdom, Medallion of Power, and Egg of Wealth. When all three are reunited, the land will be saved. The style is very similar to the CYOA books I grew up with: adventure sheet, random encounters, etc. Feel free to take a look at the promo video on youtube.